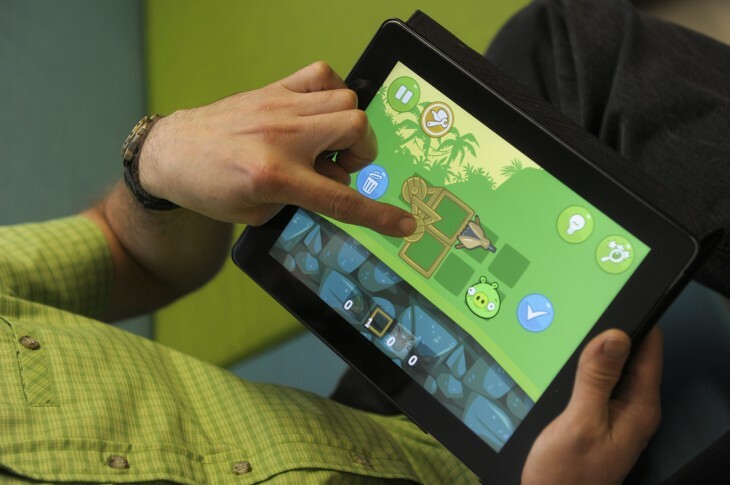 iPad and Android device owners now download video games more than any other type of app, according to new research by app analytics company Distimo. Throughout September, 48 percent of app downloads on the iPad were identified as games, outstripping entertainment (8.9 percent), lifestyle (4.1 percent), education (6.1 percent) and utilities (4.4 percent). Even outside of these categories, Distimo calculates that all other app types only attributed to 29 percent of downloads in the App Store. The popularity and demand for video games is slightly more subdued on the iPhone, however. These apps made up 33 percent of all downloads in the App Store, with photography, entertainment, lifestyle and social networking apps all coming in below 10 percent. Uncategorized apps, however, took first place with 38 percent of downloads; we can’t say for sure whether a specific subset of apps accrued more than 33 percent (thereby beating games as the most popular app type) but it seems pretty unlikely. In the Google Play store, video games were attributed to 37 percent of all app downloads on Android smartphones and tablets. Surprisingly, widgets came in second (16 percent) with communication, tools and entertainment-related apps filling out the top five. All other app types accrued 26 percent of the total downloads in September. Distimo says “the vast majority” of revenue created in the App Store and Google Play marketplace came from games throughout September. A percentage wasn’t given, but the research said it had grown significantly year-over-year. When you combine these two sources of game-related revenue, iOS device owners can be attributed to 63 percent of the cash, with Android falling in behind with 37 percent. Taiwan led the charge, with 89 percent of revenue from Android devices coming from games, in contrast to 84 percent on an iPhone or iPad. 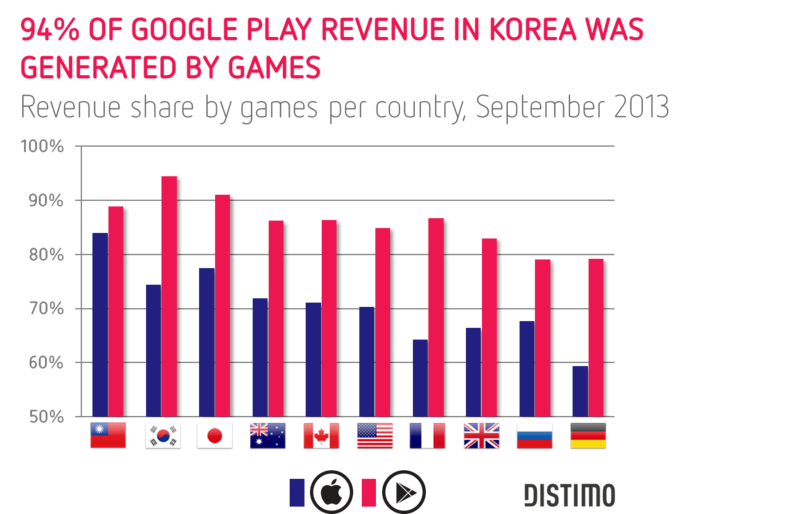 Korea ranked second in combined revenue share across the two platforms – Distimo believes that a whopping 94 percent of revenue in the Google Play store was generated by games last month.